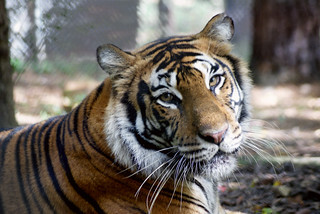 As part of its commitment to the residents, Carolina Tiger Rescue’s animal care staff must ensure the cats stay warm through the cold season. All the wildcats will get straw in their den boxes for a cozy place to nestle up through the winter. The smaller and elderly animals will get an extra layer plus heating pads for additional warmth. Watch one of our volunteers and keepers discuss how they are preparing right now for the colder months.